The European Power Exchange EPEX SPOT SE and its affiliates operate physical short-term electricity markets in Central Western Europe and the United Kingdom. The creation of a pan-European power market is what defines EPEX SPOT’s mission. In 2016, its 278 members traded 529 TWh – a third of the domestic consumption in these eight countries. 49% of its equity is held by HGRT, a holding of transmission system operators. EPEX SPOT is part of EEX Group. 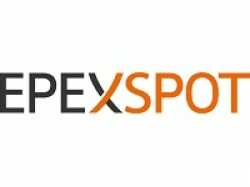 For more information, please visit www.epexspot.com.